Abstract: Data science managers (and senior leaders managing data science teams) need to think through many questions relating to how to best execute their data science efforts. For example, what is the most effective way to lead a data science project? How to make sure my data science team does not expose my organization to issues relating to the misuse of data and/or algorithms? How do I validate the results provided by the data science team? 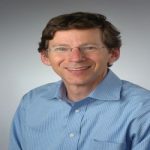 Bio: Jeff Saltz is an Associate Professor at Syracuse University, where his research and consulting focus on helping organizations leverage data science and big data for competitive advantage. Specifically, his work identifies the key challenges, and potential solutions, relating to how to manage, coordinate and run data science / big data projects within and across teams. In order to stay connected to the real world, Jeff consults with clients ranging from professional football teams to Fortune 500 organizations. In his last full-time corporate role, at JPMorgan Chase, he reported to the firm’s Chief Information Officer and drove technology innovation across the organization. Saltz received his B.S. in computer science from Cornell University, an M.B.A. from The Wharton School at the University of Pennsylvania and a Ph.D. in Information Systems from the NJIT.